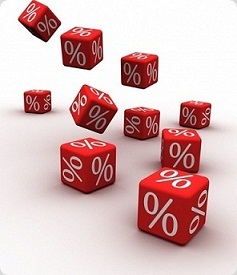 With the directives of RBI, banks in India have introduced a new concept called base rate. Under this new system banks are free to use any method in calculating their base rate provided it should be in consistent as required by RBI. Base rate is the interest rate that has been calculated by the bank on the basis of their cost of deposits and refers to the minimum interest below which the bank will not lend. However, this restriction is not applicable to bank’s employees. 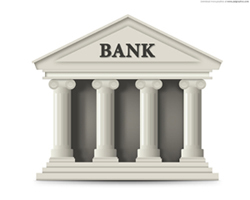 To make lending more transparent, banks are required to announce their base rate in advance. You can find base rate of each bank in their respective websites. After calculating bank’s base rate these banks are adding a premium to it for calculating lending interest rate. Such premiums are calculated based on the credit risk, loan tenure and other factors based on the type of loan and sector. If your loan interest is linked to bank’s base rate then it will have an impact when bank revise it upwards or downwards. If your bank’s base rate goes up then your loan interest rate will also go up. Similarly if base rate goes down then loan interest rate also goes down. Rise or fall in your interest rate will have an impact on your future EMIs. You will have no impact on the past EMIs of loan amount that have been already paid. If due to hike in base rate, you feel that the EMI has increased to an extent which will create problem while repaying your loan amount then you can either increase the loan tenure or pay back a portion of your loan to bank to reduce your net outstanding. Similarly a fall in base rate will decrease your EMI and increase your savings. In this case you can decrease your loan tenure or period to pay back your loan amount before the actual tenure with the same EMI or the EMI that you can afford. Keep your eyes wide open to know when your bank increase or decrease the base rate. Understanding it’s implication to your loan amount or EMI will enable you to make better financial planning for future.